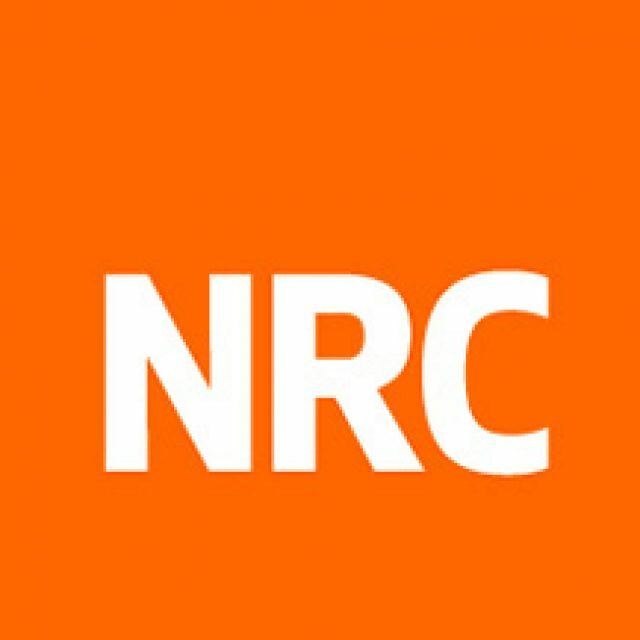 2019 Learning Technologies Conference - our insights. Last month we were at the Learning Technologies conference, Europe’s most important event for learning and development professionals. 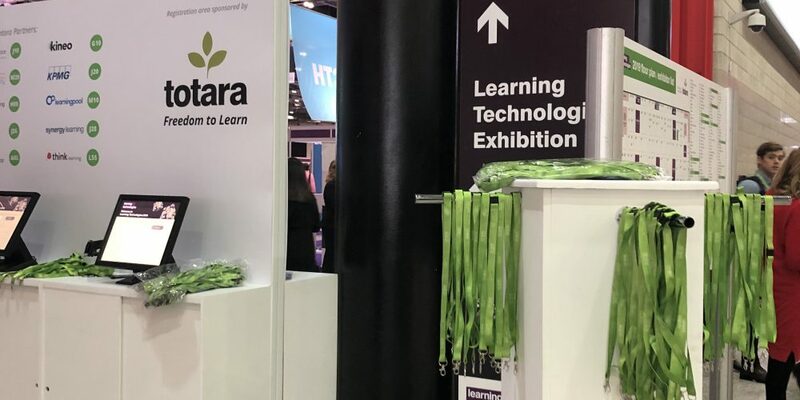 With the Learning Technologies conference welcoming over 8000 conference delegates and 70 of the learning industry’s foremost speakers, thinkers, visionaries and practitioners, we managed to gain a pretty in-depth insight into the L&D world. What became clear is that L&D professionals are steadily becoming the main decision makers – accountable for contributing to the business aims, objectives and bottom line. But sentiments arose around L&D efficiency sort of hitting a standstill due to various reasons. A recent article mentioned Laura Overton, founder and CEO of Towards Maturity, emphasising the level of uncertainty amongst the L&D community. The overarching solution to this ‘sharing’ attitude seemed to point towards L&D professionals investing in new technologies. But not just on a whim. First and foremost, they should embrace learning platforms in which enhance the learner experience – think experiential, social and collaborative. Secondly, data insights and analytics must be available and also, configured appropriately to the learning objectives. But really for us, the advantageous nature and without a doubt, demand for immersive technologies to enhance learning really took the conference to a next level. 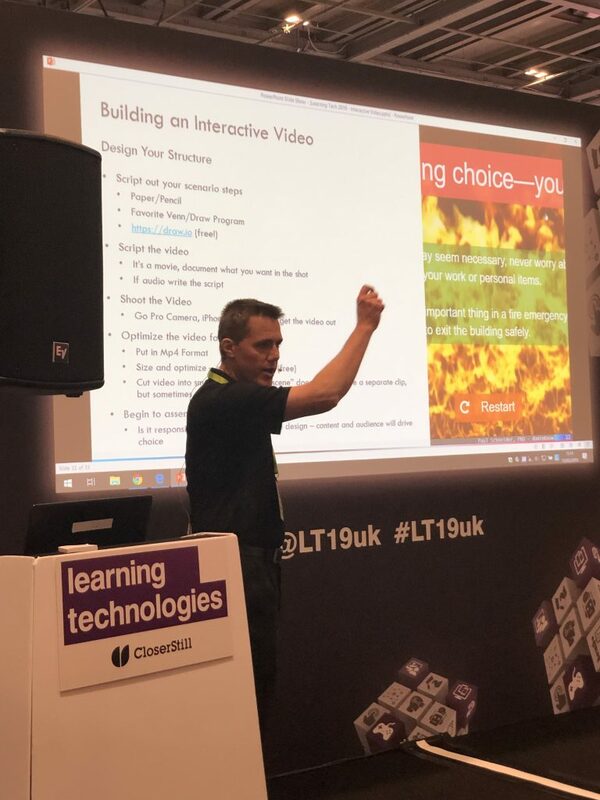 Paul Schneider from DominKnow hosted a session on how interactive video has a wow factor that’s hard to deny and how L&D professionals can think beyond the wow factor to ensure this immersive technology supports learning and performance improvement. He emphasised how interactive video can be tailored to suit any learning need, context and situation. Moreover, we know it has the capacity to capture powerful data analytics. Additionally, it allows learners to define their journey. But one tip to consider at the design stage is bringing in the subject matter experts and end users to share their knowledge and insights as a sort of learning intervention before proceeding. It is truly a learning experience like no other that doesn’t come with a hefty price tag like current VR or MR frameworks. Nor a big demand from L&D professionals who research would suggest are feeling overwhelmed and under-equipped to deliver, especially if partnering with a learning provider like Digital Training Solutions who specialise in media production. What’s great about our Near-Life™ interactive video technology is that it has the scope to build in to social and collaborative platforms with focus for discussions to find out what is and isn’t working for them. There was a pristine message from the conference authors for all L&D teams – there must be a shift from being producers to enablers if they are to support organisational change. 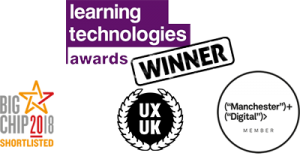 In the meantime, look out for us exhibiting our Near-Life™ technology at the Learning Technologies Conference, 2020.